Afternoon Loverlies! I decided to write about a falling out I had with a good friend. It still hurts because I miss her. I thought writing this might help. It doesn't help when you still have a friend that will bring her up to you. Also some sites don't seem to have block, Oh well, I just feel haunted I guess. Ella, Ella and I have a falling out twice now, we had a strong friendship I thought nothing would pull us down. We were so close we could finish each other sentences almost. We are both musically talented, we always loved singing together. Always sang together to brighten our moods, when our moods were wilted. We both loved Christmas immensely. Christmas makes the world seem bright when the world is a dull, damp, cloud. It still makes me happy, but just not like how it was. We would play Christmas music year round. We also had our virtual world we played in, we would decorate it for Christmas year round with our cute virtual house we had. You can do anything in this virtual world, so why not make it happy. Our happy getaway. To help each other with depression and anxieties we faced in real life. It is always best to have a woman friend you can chat and discuss subjects with. I think God would want at least one woman friend for every woman in the world. It just helps. Ella was a close friend it seemed like she was my twin. It seemed like we were split from birth to be honest. We met through another person on the virtual game accusing me of being Ella. It was a silly, funny way to meet. An odd way to meet. 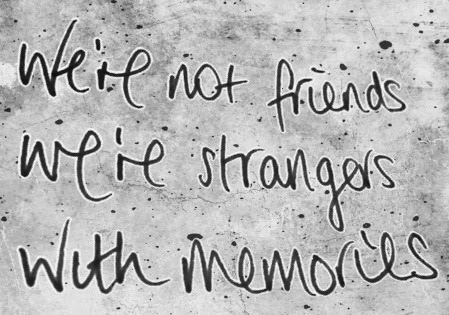 I thought I was blessed when we met, I thought I met a friend for life. Sadly an older power brought negative moods upon her. This older power was miserable itself. It covered my friend with storm clouds. There is only so many negative moods and thoughts a person can be given. Only so many they can have thrown upon on them until they share it with the closest loved one near them. She tried opening an umbrella to protect herself from the storms, but that didn't last long. Soon she was drowning me with these negative thoughts. Even to the point my friend made me feel bad about myself. Made me feel even more drowning in depression then what my own brain was attacking me with. She turned a bit mean even, all because the older power had more control over her. Twice we had a falling out. I gave her two chances and each time the negative overpowered her. So what was I to do? As I said, there is only so many times you can handle and attempt to deal or ignore the negative clouds, Then they become storms. Sometimes opening an umbrella to protect yourself from the storms isn't enough. Sometimes you just have to break free and find a different shelter. It hurts because I do miss our fun times together, I miss my friend. I hate that I'm not strong enough to handle her negative clouds. I understand it's hard for her to handle her older power of negative. Sometimes you just have to think for your own self, and for your own mental health. Sometimes you just have to let that friend go. Hopefully you are able to find something just as close to that friendship. I also hope she is able to find the same thing. Apparently some friends were just not meant to be. I can completely relate to this. For me it was meeting someone and connecting with that person immediately to the point where we became instant best friends. Unfortunately it didn't entirely work out. Sometimes some people just aren't meant to stay in our lives, no matter how much we fight against that. I've made peace with it. But it took me a while... A long while... You were strong enough to realize that the relationship wasn't working for you so you cut it out. That's pretty brave!